DriveMyCar is the smart way to earn money from your car while you are not using it. Going overseas? Finding it hard to sell your car? Not using your car enough? We find trusted renters, manage all payments including a security bond and provide a formal rental agreement. Your car is covered by the DriveMyCar Motor Fleet Insurance policy during rental. You can earn $2,500 in 12 months. Guaranteed. DriveMyCar attracts a high number of renters looking for cars just like yours. And we need your help to meet the demand. So, for a limited time, if you list your car and meet a few basic criteria you will earn at least $2,500 over 12 months. Guaranteed. With $8 million paid out to car owners already, DriveMyCar is proven to be the simple, secure and effective way to earn money from your car. Earn between $350 and $1,750 per month. 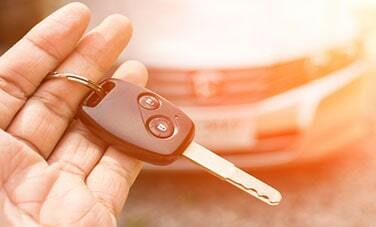 DriveMyCar makes peer-to-peer car rental possible by adding 'trust'. We screen people before they are able to make a booking as we only want trustworthy people renting vehicles. We verify ID's and perform credit checks on Renters and collect a bond. We can arrange for a GPS tracker and immobiliser to be fitted to your car for extra peace of mind. When a Renter is interested in renting your car you will be sent a booking request. You choose who you rent your car to, when to rent it and for how much. You can view Feedback about Renters previous transactions to find out more about them. Although DriveMyCar is an online business we’re still here to help you with any questions or issues that may arise. You can contact us by phone, email or Live Chat. See the Contact Us section for more details. While your car is being rented it is covered by the DriveMyCar Motor Fleet Policy which provides coverage for accidents and theft. The insurance cost is included in the price paid by the Renter. In the event of an accident, we will help manage the claims process to get your car back on the road as quickly as possible. It is your responsibility to ensure that your car is covered by appropriate Compulsory Third Party Personal insurance. Depending on the state in which the vehicle is registered, you may need to amend your vehicle registration to ‘commercial’ or ‘business’. As the requirements differ from state to state you should contact you state registration authority and CTP insurer for more information. Want Us to Manage Your Car? Your car is covered by 24/7 roadside assistance while it is being rented. In the event that your car breaks down you may be liable for the cost of parts and labour. Once we have completed ID and credit checks and confirmed that payment has been received you can liaise with the Renter to confirm a handover time and location. We provide a handover checklist and inspection report to record details of the condition of the car at the start and finish of the rental. You are also encouraged to take photographs confirming the condition of the vehicle. Make sure your vehicle is cleaned before handover and has a full tank of fuel. The Renter is also required to do the same at the time of return. DriveMyCar specialises in rentals from 7 days – 365 days so you don’t have the hassle of dealing with short-term rentals. We collect payments from the Renters and deposit the funds in your account. We provide a comprehensive rental agreement and terms and conditions so everyone understands their obligations. By far, the best way to ensure that your car is rented for the maximum possible time is to respond promptly to booking requests. Often Renters enquire about more than one vehicle, so if you are the first to respond you have the best chance of securing the rental. Make sure all of your contact details – email, home phone and mobile phone are up to date in the My Account section so we can easily contact you.